Our swimming lessons are taught by qualified instructors. 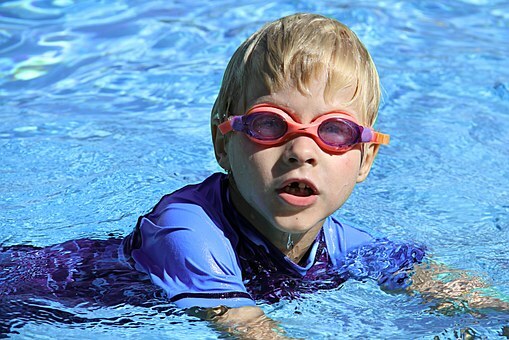 Swim lessons are available for children ages three years and up. We also provide swimming lessons for adults. Private lessons are also available. Learning how to swim is a life long skill that should be taught early to our children. It is a critical first step to a lifetime of enjoyment around the water. Our well trained and certified swim instructors are talented at teaching. Your child will learn swimming techniques, build confidence, learn valuable water safety information and best practices. When a child learns to swim, there is nothing more satisfying than seeing how proud they are about their new accomplishment. We are honored to be a part of that accomplishment. The objective of swimming lessons is to help students feel comfortable in the water. Students will learn simple water skills that they can build on and progress through the various swim levels. As students progress, they will build on water skills previously learned from earlier classes. For beginners, we will help teach them the skills needed to swim for greater distances with a goal swim of 25-yards in each of the following strokes: Elementary Backstroke, Front Crawl, and Backstroke. All elementary water skills are also paired with water safety lessons and rules to live by when around any body of water. If you are an adult and looking to cross swimming off your bucket list, we can also provide private swim lessons for you.